The NTSB adopted seven recommendations today in the wake of the Air Canada Flight 759 incident, in which an A320 jet nearly landed on a taxiway occupied by four fully loaded passenger jets (figure 1). At their Board Meeting today, which was live streamed as a webcast, the board heard a presentation by NTSB staff that included nineteen findings from the incident, seven recommendations, and the final probable cause of the incident. All of the material here comes from my recording and transcription of the board meeting. The NTSB determined the probable cause of this incident was “The Flight Crew’s misidentification of taxiway Charlie as the intended landing runway, which resulted from the crew members’ lack of awareness of the parallel runway closure, due to their ineffective review of Notice To Airmen, that is NOTAM, information before the flight and during the approach briefing. (2) Air Canada’s ineffective presentation of approach procedure and NOTAM information." NTSB staff noted that the Air Canada crew did not recall reading in the ten pages of NOTAMs for their flight that runway 28L was closed as they arrived at San Francisco. Staff noted that “**NEW**” preceded the runway closure NOTAM. Yellow highlights were added by staff to the San Francisco runway closure NOTAM (figure 2), shown in their presentation. Since they were unaware of the runway 28L closure, the crew had an expectation bias that they were properly lined up for the correct runway. Figure 2. Yellow highlighting of NOTAM added by NTSB. 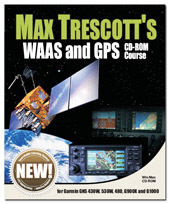 NOTAMs were a frequent target of board members, who said that the “NOTAM system was really messed up,” and that NOTAMs were written in a way that “only a software programmer would understand.” One estimate was made that it would have taken the flight crew 20 minutes to thoroughly read and understand all of the NOTAMs issued for Flight 759. Staff also noted that the crew flew the Quiet Bridge Visual approach, which includes near the end of its two-page description a requirement to tune an ILS frequency into their flight management system to provide backup guidance to the runway. The crew failed to tune in the ILS frequency, which would have showed them that they were not properly lined up for runway 28R. Staff did note that Air Canada Airbus A320 automatically autotunes frequencies for all other approach into San Francisco, but not for the Quiet Bridge approach. Crew fatigue may have been a factor. The flight crew was a “reserve crew,“ which stands by so that it can be called on short notice to fly a plane that suddenly require a new crew. The captain had been awake for 19 hours at the time of the incident. The flight originated in Toronto, where it was 3 AM, when the incident occurred. Surprisingly, the crew stated afterwards that they were unaware that they’d overflown four aircraft on the taxiway, and that they estimated they started their go around at 400 feet, while data shows that it was initiated at 89 feet above the ground. After the go around was initiated, the airplane descended to a minimum altitude of 60 feet before beginning to climb. Staff estimated that Flight 759 was approximately 10-20 feet above the tails of the aircraft on the taxiways. Overall, the NTSB had 19 findings from the incident. (1) None of the following were factors in this incident: (1) flight crew qualifications, which were in accordance with Canadian and US regulations; (2) flight crew medical conditions;(3) airplane mechanical conditions; and (4) airport lighting, which met US regulations. (2) The first officer did not comply with Air Canada’s procedures to tune the instrument landing system (ILS) frequency for the visual approach, and the captain did not comply with company procedures to verify the ILS frequency and identifier for the approach, so the crew members could not take advantage of the ILS’ lateral guidance capability to help ensure proper surface alignment. (3) The flight crew’s failure to manually tune the instrument landing system (ILS) frequency for the approach occurred because (1) the Flight Management System Bridge visual approach was the only approach in Air Canada’s Airbus A320 database that required manual tuning of a navigation frequency, so the manual tuning of the ILS frequency was not a usual procedure for the crew, and (2) the instruction on the approach chart to manually tune the ILS frequency was not conspicuous during the crew’s review of the chart. (4) The first officer’s focus on tasks inside the cockpit after the airplane passed the final waypoint reduced his opportunity to effectively monitor the approach and recognize that the airplane was not aligned with the intended landing runway. (5) The flight crew-initiated, low-altitude go-around over the taxiway prevented a collision between the Air Canada airplane and one or more airplanes on the taxiway. (6) The controller responded appropriately once he became aware of the potential conflict. (7) Errors that the flight crew members made, including their false assumption that runway 28L was open, inadequate preparations for the approach, and delayed recognition that the airplane was not lined up with runway 28R, reflected breakdowns in crew resource management and led to minimal safety margins as the airplane overflew taxiway Charlie. (8) The flight crew members' lack of awareness about the runway 28L closure and the crew members' previous experience of seeing two parallel runways at San Francisco International Airport, led to their expectation to identify two runway surfaces during the approach and resulted in their incorrect identification of taxiway Charlie, instead of runway 28R as the intended landing runway. (9) Although the Notice to Airmen about the runway 28L closure appeared in the flight release, and in the Aircraft Communication Addressing and Reporting System [ACARS] message that were provided to the flight crew, the presentation of the information did not effectively convey the importance of the runway closure information and promote flight crew review and retention. (10) The cues available to the flight crew members to indicate that the airplane was aligned with the taxiway were not sufficient to overcome their belief as a result of expectation bias that the taxiway was the intended landing runway. (11) Multiple salient cues of the surface misalignment were present as the airplane approached the airport seawall and one or more of these cues likely triggered the captain's initiation of a go around, which reportedly occurred simultaneously with the first officer's call for a go around. (12) The captain and the first officer were fatigued during the incident flight due to the number of hours that they had been continuously awake, and circadian disruption, which likely contributed to crew members' misidentification of the intended landing surface, their ongoing expectation bias, and the delayed decision to go around. (13) Current Canadian regulations do not in some circumstances allow for sufficient rest for reserve pilots, which can result in these pilots flying in a fatigued state during their window of circadian low. (14) Flight safety would be enhanced if airplanes landing at primary airports within Class B and Class C airspace were equipped with a cockpit system that provided flight crews with positional awareness information that is independent of and dissimilar from the current instrument landing system backup capabilities for navigating to a runway. (15) Although the investigation into this incident identified significant safety issues, cockpit voice recorder information, had it been available, could have provided direct evidence regarding the flight crew's approach preparation, cockpit coordination, perception of the airport environment, and decision-making. (16) Once the flight crew members perceived lights on the runway, they decided to contact the controllers to ask about the lights. However, their query was delayed because of congestion on the tower frequency, which reduced the time available for the crew members to reconcile their confusion about the lights with the controller’s confirmation that the runway was clear. (17) Although the use of line up and wait procedures during single person air traffic control operation was not a factor in this incident, the tower controllers should have delayed consolidating local and nonlocal control positions until line up and wait procedures were no longer needed. (18) If an airplane were to align with a taxiway, an automated airport service detection alert would assist controllers in identifying and preventing a potential taxiway landing, as well as a potential collision with aircraft, vehicles, or objects that are positioned along taxiways. (19) Increased conspicuity of runway closure markers, especially those used in parallel runway configurations, could help prevent runway misidentification by flight crews following an approach to an airport. As a result of their investigation, the NTSB made seven new recommendations, six for the FAA, and one for Transport Canada. (1) Work with air carriers conducting operations under title 14 code of federal regulations Part 121 to assess all charted visual approaches with a required backup frequency to determine the flight management system autotuning capability within an air carrier's fleet. Two, Identify those approaches that require an unusual or abnormal manual frequency input, and, three either develop an autotune solution or ensure that the manual tune entry has sufficient salience on approach charts. (2) Establish a group of human factors experts to review existing methods for presenting flight operation information to pilots, including flight releases and general aviation flight planning services, that is preflight, and aircraft communications addressing and reporting system messages and other in-flight information, create and publish guidance on best practices to organize, prioritize, and present this information in a manner that optimizes pilot review and retention of relevant information, and work with air carriers and service providers to implement solutions that are aligned with the guidance. (3) Establish requirements for airplanes landing at primary airports with Class B and Class C airspace to be equipped with a system that alerts pilots when an airplane does not align with a runway surface. (4) Collaborate with manufactures to develop the technology for a cockpit system that provides an alert to pilots when an airplane is not aligned with the intended runway surface, and once such technology is available, establish a requirement for the technology to be installed on airplanes landing at primary airports within Class B and Class C airspace. (5) Modify Airport Surface Detection Equipment, or ASDE systems, such as ASDE-3, ASDE-X and airport surface surveillance capability, at those locations where the system could detect potential taxiway landings and provide alerts to air traffic controllers about potential collision risks. (6) Conduct human factors research to determine how to make a closed runway more conspicuous to pilots when at least one parallel runway remains in use, and implement a method to more effectively signal a runway closure to pilots during ground and flight operations at night. One recommendation to Transport Canada. (7) Revise current regulations to address the potential for fatigue for pilots on reserve duty who are called to operate evening flights that would extend into the pilot's window of circadian low. As I often say, anytime something doesn’t look right, a pilot should initiate an immediate go around. In this case, fatigue and a failure to follow procedures may have delayed this crew from initiating a go around until it was almost too late. And yes, I'll be talking about this on the Aviation News Talk podcast, which you can find in the Apple Podcasts App, or in the Aviation News Talk dedicated app for iOS and dedicated app for Android. There are many lessons that pilots can learn from the incident yesterday in Atlanta in which a man climbed up on the wing of an arriving airliner, jumped off, and ran naked onto the runway. The ATC audio from Atlanta Tower is instructive and a little entertaining to listen to, so I encourage you to listen to it on Episode 67 of the Aviation News Talk podcast, which you can find in the Apple Podcasts App, or in the Aviation News Talk dedicated app for Android. Here's a brief summary of the top ten lessons that I talk about in much more detail on the podcast. I’ve been flying for over 40 years, and it seems that once a week something will happen, and I’ll tell the pilot or student pilot I’m with that I’ve never seen or heard anything like that before. That was the case for Delta 192, an MD88 that was on a flight from Miami, which landed on time at the Atlanta Airport at about 4:32 PM EDT, according to Flightaware.com. In their case, according to multiple reports, what they first saw was a man on the wing of their airliner banging on the window! There were still on tower frequency, so this event apparently happened immediately after landing. And the landing time matches up fairly well with the time that the first photos and video started appearing on Twitter. A couple of pilots commented on the tower frequency that they'd never seen anything like this before. The captain of Delta 192 initially reported that the man on the wing was a passenger, who'd opened the over the wing exit door. Later, as he got more information from the cabin crew, he reported that the man was not a passenger, and that he was now running half naked on the runway! 3. When something out of the ordinary happens, Stop immediately. The first words from the controller were "Stop all departures." When something unusual happens, stopping may be a good idea so that things don't get worse. That's true whether it's ATC stopping operations, or pilots stopping their airplanes on the ground when an event occurs. 4. Shut down your engines. Flight 192 reported that they shut down their engines, which was good, as eventually the man ended up banging on the bottom of the airliner, as if he were trying to get in. Things can get worse if engines and propellers continue to run, especially if there’s anyone in the vicinity of your aircraft, so shutting down your engines is a good precaution. After the arrest, Delta 192 initially asked for confirmation that everyone was clear of their aircraft before restarting an engine to taxi to the terminal. It’s pretty hard to see underneath, or behind an aircraft after you’re strapped into the cockpit. If you’re in a GA aircraft and it’s safe to get out, you can look around to make sure there’s no one or nothing close to your aircraft before you restart it. Of course if you’re at a towered airport and on a runway or taxiway, you should get permission first before climbing out of the airplane. At times the pilot of another aircraft may see things affecting other planes that no one else can see. If you see something relevant to an unfolding situation, speak up! Multiple times I've called ground or tower to alert them of an aircraft in the run up area with an open baggage door. 7. If there’s any doubt about the condition of the plane, don’t start up without having someone inspect it, and consider having it towed. If you're not 100% sure of the condition of your aircraft after an event, have it towed. Running the engine or taxiing could cause further damage or injury. 8. Reevaluate your original plan based on what has just happened. Does it still makes sense to take off? In this case, the delay on the ground was long enough that a Southwest pilot realized he needed to go back to the terminal and get more gas. 9. Defer to ATC to sort things out….that’s their job! Atlanta tower was clearly in charge of the situation, though other airliners and ground units chimed in to contribute information. But it was clearly the tower's show, and they orchestrated the response to the event. 10. Be patient, its going to take time for things to get unsnarled. Atlanta tower spent much more time dealing with the aftermath than the event itself. Pilots need to be patient and wait their turn until the tower can get traffic unsnarled and on it's way again. Yes I know I said ten items, but I thought of one more. When the tower asked a Southwest airliner if he wanted to exit the runway, he said no, he'd like to stay there and "Watch the show." If you're not in the way, and you have a good view of what's happening, you might as well stay where you are. If after listening to Aviation News Talk you want even more,visit my free Patreon page. I post breaking news in the Posts section, and our patrons receive an email whenever I post a new story. If you want to stay in the know, become a patron by donating a few dollars per month to support the show. Aviation News Talk - Free Apps! I’m also just starting to send out notifications on our two dedicated apps for the Aviation News Talk podcast. The apps are free and you can download them directly from the Apple App Store or the Google Play store. In your settings, allow notifications from the Aviation News Talk dedicated app, and you’ll occasionally receive a notification from me when there’s something new to report. If you already subscribe to the Aviation News Talk podcast, please show a friend how to set it up on his or her phone. Fly safely and keep the Blue side Up! When it comes to General Aviation maintenance on piston-powered airplanes, Mike Busch literally wrote the book. And he’s also rewriting how small plane maintenance is performed, through the many service he offers through his Savvy Aviation company. Recently I sat down with Mike and interviewed him on the Aviation News Talk podcast to learn more about his transition from a career in high tech to general aviation, and about his latest book, Mike Bush on Engines: What every aircraft owner needs to know about the design, operation, condition monitoring, maintenance and troubleshooting of piston aircraft engines. Mike was born in New York City and grew up in the northeast. After majoring in math at Dartmouth College, he did graduate work in math and business, and soon after moved to the West coast, where he’s been ever since. After college, he worked in the computer industry as a software developer, and he managed major software development projects for corporations including Computer Sciences Corporation, General Electric, Honeywell, NCR, Phillips, and Visa. In 1995, he began working full-time in the aviation industry, where he cofounded avweb.com, a well-known aviation news web site. He’s also a prolific writer of articles on maintenance that have appeared in many General Aviation magazines including his monthly maintenance column, “Savvy Maintenance” in AOPA Pilot magazine. You can learn more about Mike and his transition to a career in aviation in episode 64 of the Aviation News Talk podcast. Mike’s first book was Manifesto, A Revolutionary Approach to General Aviation Maintenance. That book, which is 112 pages long, talks about Mike’s crusade to promote Reliability Centered Maintenance within General Aviation. Reliability Centered Maintenance came out of United Airlines back in the late 1960s, but hasn’t yet made major inroads into how general aviation airplanes are maintained. One of its major tenets is that we shouldn't be doing maintenance after a specific number of hours have elapsed, but should instead have condition monitoring programs that determine the condition of various aircraft components and only perform maintenance when a component is in trouble. In May 2018, Mike Bush on Engines was released. I purchased the book when it was released and have learned a lot since I started reading it. Mike spent about a year writing the book and as a starting point, he pulled material from his many years as a magazine columnist. As an aside, Mike and I both debuted as monthly columnists in EAA Sport Magazine in January 2010. But the book is NOT simply a collection of articles. It’s a well thought out and organized tutorial on general aviation aircraft maintenance in general, and engine maintenance in particular. 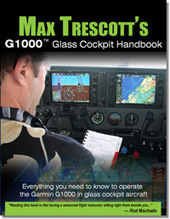 In addition to teaching the reader about the many engine components and how to operate engines properly, he talks about the missing art of troubleshooting as a general practice in general aviation. In my interview with Mike he said, “Mechanics seem to be strong in the therapy department and weak in the diagnosis department.” According to Mike “A&P mechanics are the surgeons of general aviation maintenance, and they attack airplanes with tools,” which is what they’re comfortable doing. Instead, he feels there needs to be more emphasis on accurate diagnosis and less emphasis on attacking airplanes with tools. Mike Busch on Engines is an easy read that’s presented in non-technical terms, so that most any pilot can understand it. Whether you start at the beginning and read the entire book, or just bounce around from topic to topic as I did, you’ll surely have fun reading it and learn a lot in the process! 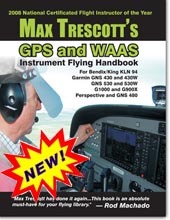 I highly recommend both of his books to all pilots. If you haven’t done so already, please set up your phone now so that you’ll get future episodes of Aviation News Talk downloaded to your phone automatically about once a week for free. If you have an iPhone or iPad, go to the Apple Podcasts App and then touch the subscribe button. If you're unfamiliar with how to listen to a podcast, just download one of our dedicated apps for Aviation News Talk. Here are links to our iOS app in the Apple App Store, and our Android app in the Google Play Store. And if you already subscribe, please show a friend how to set it up on his or her phone. And fly safely and keep the Blue side Up! When it comes to buying tools that can help in flight, pilots don’t like to compromise. After all, it’s our lives at stake as we thread traffic and weather to our destination. So I was delighted when Garmin Aviation Marketing Manager Joey Ferreyra contacted me and asked if I’d like to evaluate Garmin’s new GDL 52 Portable SiriusXM®/ADS-B Receiver. I had great fun using it for a few months and now that I’ve sent it back, here’s what I learned. The GDL 52 is a top of the line, no-compromise, weather and traffic receiver. It contains just about every separate portable device you’d consider buying for the cockpit, only it combines them all into a single compact unit. Best of all, it’s totally wireless and runs up to 5 hours on an internal battery, so it won’t introduce more wires into the cockpit. First, it’s an ADS-B In receiver, so it can display traffic and weather. Of course like all ADS-B receivers, it can’t display all traffic, so you’ll still need to keep your eyes outside the window! It also displays the free weather uplinked from ADS-B ground stations. In addition to ADS-B In, the GDL 52 also has a SiriusXM weather receiver. Older pilots will recall that before the invention of the iPhone, pilots routinely carried portable Garmin GPS receivers with them, many of which included a SiriusXM weather receiver. A subscription is required, and several service levels are available starting at $29.95 per month. The satellite weather signal can be received in the continental U.S. and along the adjacent borders of Canada and Mexico. So why would you want two sources of inflight weather? Joey discussed this in episode 62 of the Aviation News Talk Podcast,which you can find in the Apple Podcasts App on an iPhone or iPad, on an Android or web browser, and in Spotify. You’ll want to listen to the full interview for more details. Briefly, ADS-B weather is typically not available on the ground and can usually only be received in flight. However, since SXM is a satellite-based system, it can be used both in the air and on the ground, making it useful for preflight planning purposes. In addition, SiriusXM weather offers a more robust set of weather products than ADS-B weather. You can find a comparison of some differences on the SiriusXM website. The GDL 52 lacks a built-in display, so to view its traffic and weather, you need either an smartphone or tablet (iOS or Android) running the Garmin Pilot app, or a portable display such as the Garmin aera 660. I tried both the aera 660 and my iPad running the Garmin Pilot app and I preferred the latter, because of its much larger display. Unfortunately, the ForeFlight app that many pilots use doesn’t yet support the GDL 52, so iOS owners who want to keep using ForeFlight will need to spend an extra $79/year for the Garmin Pilot app, which does essentially all the same things as ForeFlight. For Android users, purchasing the Garmin Pilot app is a no-brainer, as ForeFlight isn’t available on Android. I use both ForeFlight and Garmin Pilot and find them comparable. The area where Garmin Pilot really shines compared to ForeFlight is its dedicated traffic page. 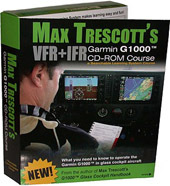 Much like the traffic display on the Garmin 430 or G1000, the traffic page is a simple white on black display with concentric rings indicating distance from your aircraft. That makes it easy to view aircraft without any background map clutter and accurately determine their distance. In the busy metro San Francisco area in which I fly, that unambiguous display of traffic could be a lifesaver. Garmin Pilot also makes it easy to switch between the two weather sources using a layers tab on the map page that lets you select either SiriusXM or ADS-B for each weather product. On long trips across the U.S., I was most interested in finding altitudes with favorable winds so that I could avoid additional fuel stops. I found that the Winds Aloft data from SXM was sometimes better than what I could get from ADS-B. SiriusXM displays far more wind symbols, making it more likely that one is close to your plane. Also, I know that a forecaster updates the SXM winds aloft every hour, and I’m not sure that ADS-B winds are updated that frequently. Winds are displayed for every 3,000 feet, and I found them to be accurate most of the time. The GDL 52 also includes a built-in GPS and AHRS (Attitude Heading Reference System). The latter lets you display synthetic vision on the Garmin Pilot app and shows the aircraft’s pitch and bank in real time. If you were ever to lose a vacuum pump and your gyro instruments in IMC, this feature alone could help you keep your airplane right side up until you could get out of the clouds. The unit also includes a SiriusXM radio receiver that can receive over 150 channels with a separate subscription. On longer trips, I love listening to SiriusXM radio! To listen, you can plug earbuds directly into the GDL 52, or you can connect the unit to your aircraft’s audio panel. The only problem I encountered on three long trips crossing the entire U.S. was that the Bluetooth connection between the GDL 52 would disconnect from my iPad about once a day. That's relatively infrequent, especially when you consider that I was flying about ten hours a day. Reconnecting it was relatively quick. The GDL 52 is currently priced at $1,149 on Amazon, but is just $949 after a $200 rebate from SiriusXM Aviation. There are two other versions I didn’t try, the GDL 51 Portable SiriusXM Receiver for $699 and the GDL 50 Portable ADS-B Receiver for $849. Both the GDL 52 and the GDL 51 are eligible for the $200 SiriusXM Aviation rebate, which is in effect through the end of 2018 and requires at least 60 days of continuously paid service from SiriusXM. The GDL 52 also includes a free trial of the Garmin Pilot app, which can be downloaded from the Apple App store or from Google Play, and a three-months free subscription to the SiriusXM Pilot Preferred aviation weather package and the SiriusXM All Access audio programming package. The GDL 52 is especially valuable for pilots who fly in congested areas, or in and around any kind of weather. On the other hand, if you fly in a rural area and only on clear, sunny days, you won’t benefit as much from one, but you might still enjoy having one. Based on my evaluation, the GDL 52 has the most capability of any portable ADS-B receiver that I’ve seen, and I highly recommend it. And just so you know, I received no compensation from Garmin for writing this, but I could earn a fee from Amazon if you purchase a unit through any of the links on this page, so if you choose to buy one, please use one of the links on this page.